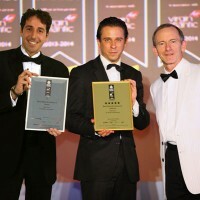 At Mapic 2013, Lebanese Developer Sidcom, architect Design International and leasing agent DI Leasing were introducing Centerfalls, the first Designer Outlet Resort in the Middle East, in Beirut. Situated in a stunning location on top of a hill in the Metn Area, the most affluent neighbourhood of Beirut, overlooking the city and the sea, Centerfalls will offer visitors the widest selection of luxury goods, sold all year long at discounted prices of 30 to 70%. 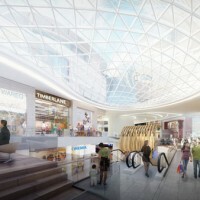 It will also boast the largest range of restaurants and personal services ever seen in a shopping mall, thus being a center of commerce leisure and social activity as well as a touristic destination. 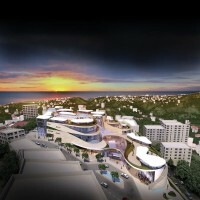 Centerfalls’ architecture, designed by world renowned retail architect Davide Padoa of Design International, has been inspired from the surrounding landscape. 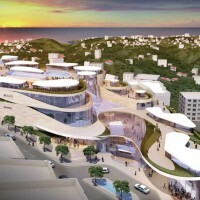 The external shape of the building is creating a natural extension of the hill through ascending sweeping terraces, where visitors will enjoy the staggering views over the bay of Beirut from one of the 30 gastronomic restaurants. The transparent structure with large glass fronts and skylights will allow natural light to penetrate the project, inviting inside the surrounding landscape, creating an open, welcoming and inspiring atmosphere inside where organic shapes and the use of natural materials provide a natural feel. The effect will drammaticaly be emphasized with a vertically open and transparent layout that will allow the surrounding nature to enter the building. 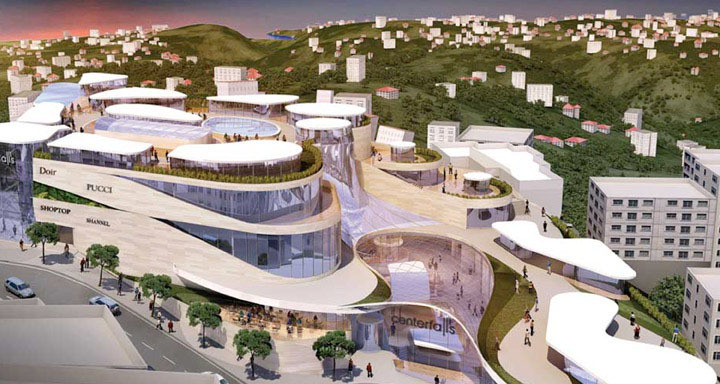 A gigantic waterfall originating from underneath the roof terrace will falls down across 5 levels into the heart of the development to the luxury area, creating the largest waterfall ever built in a shopping destination. With a gross leasable area of approximately 30,000 sqm, Centerfalls proposes 3 main sectors: the ‘Resort’, offering the best in gastronomic and casual dining, entertainment, Culture and personal Health & Care facilities; the ‘Designer Outlets’, presenting luxury clothing, with 20 prestigious brands such as Louis Vuitton, Gucci, Fendi, Prada, as well as Electronics and ‘Pop Up’ shops; and finally, the ‘Gourmet Market’, offering a large selection of healthy and delectable groceries. One key feature of Centerfalls is the roof terrace, where a mix of fine dining restaurants, kiosks and a nightclub for young and trendy population of Metn, Beirut, and beyond. The outdoors will offer a quiet and sophisticated atmosphere, which finds its culmination in the infinity pool on the top level. The pool turns the views over the city and the sea into even more spectacular environment, and will certainly make of Centerfalls one of the finest leisure, entertainment and tourist destination in the world. Davide continued: ‘What excites me the most about this project, is the ambition to design a shopping destination with all the tricks that are normally used in a successful hotel, with the panoramic view and a gorgeous lobby as the key elements of the development. Hence the name ‘Centerfalls Designer Resort’, and I am pleased and honoured that the jury of the International Property Awards has embraced our vision”. 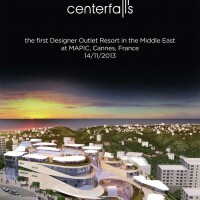 Centerfalls will open its doors to the public in spring 2016 and will be the first Designer Outlet Resort where guests are treated on a personal level in a way that is normally only found in a 5 star hotel. To offer the best personal service, cutting-edge technologies will allow the management to keep a detailed record of each guest’s habits, tastes and likes.